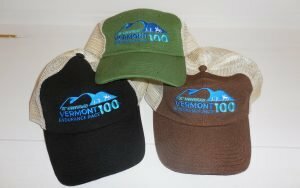 Friday July 20 at the Vermont 100-So many Things to Do! You’ve arrived at Silver Hill, you’re all checked in, through Medical, got your bib! Now what?!? We’ve got you covered here at the VT100! Friday is FULL of activities and shopping galore for you and your family, and crew, and pacer, and whoever else joins in. We hope that everyone will take part in some of the fun activities! Are you looking for some relaxation, stretching, and mindfulness before your big day in the woods? Or does your crew, family and friends want some downtime before their important duties unfold? Join Amanda, from Forest Trail Yoga to relax your mind, body and soul. Yoga sessions will be held under the trees to the left of the white house on Silver Hill. Forest Trail Yoga will provide mats and blocks. 3:45-4:00PM: Family Yoga– Poses to stretch, test our strength and balance for the whole family. 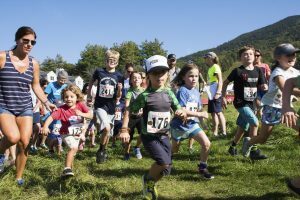 Now that you’re all relaxed, come join us for our first annual VT100 Ultra-Lite Race (5k) and Kids Kilo Race (1k) race to be held at the VT100 finish line, in woods behind main tent. Registration for this fun run will be throughout the day at the registration tent. Registration is free for all, however we encourage folks to make a donation to Vermont Adaptive! 2:00PM: VT100 Ultra-Lite Race (5k) – Here’s your chance to run some of the gorgeous VT trails and finish under the VT100 finish line. Crew, volunteers, pacers, community members, this is for you! Open to all ages, all abilities, and all manner of connection to the VT100. 2:05PM: Kid’s Kilo (1k)– the future of ultra running is happening here folks! 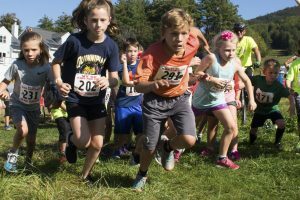 Open to kids of all ages, this race will be un-timed and all participants will receive a lollypop when they finish. We’ve have some pretty amazing sponsors lined up for the race. Come check their booths out Friday as you wander about – there will be demo of products, free give-aways, and super knowledgeable folks to give you some great last minute advice for the next day’s race. Inov-8 shoes are known for their superior traction, which is key for running in New England. Visit their booth to see, touch, and try on many of their products including the newly released TerraUltra shoe! The Run Formula will once again have a few NormaTec recovery boots for folks to test out, and will also be staffed by Run Formula coach John Spinney who can give you some great advice for the VT100! Hoka One One offers the cushiest ride in the running world. Visit their booth to touch, try on and test out, and chat with Hoka Rep Chase who will also be running this year’s VT100k. Darn Tough Socks are known to be the most rugged socks in the business – which makes sense since they are made in Vermont! Check them out to view will their full sock collection. Cabot Cheese will have samples of their super yummy locally made cheese. Come learn why happy Vermont cows make better cheese. Raidlight makes some of the lightest running packs and clothing in the business. Check out a sampling of their products to understand why many top international runners swear by them! Dion Snowshoes are locally made by Vermont ultrarunner Bob Dion. They are some of the lightest racing snowshoes in the industry, so talk snowshoeing with Bob and dream of colder days! 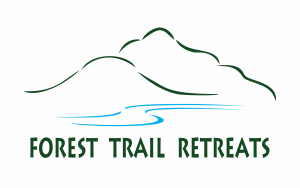 Forest Trail Retreats will be offering several amazing meditation and yoga sessions throughout the day, but you can also stop by their booth to talk with them about visualization or meditation before the race! 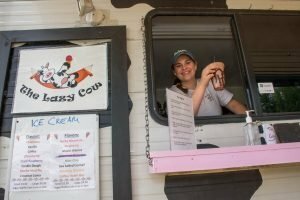 The Lazy Cow Vermont will once again have their ice cream truck full of super yummy offerings for sale. A portion of their sales goes directly to Vermont Adaptive. 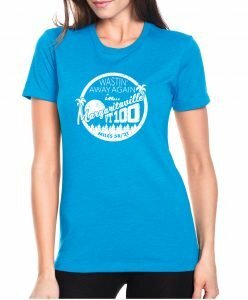 VT100 Merchandise: Shop til You Drop! 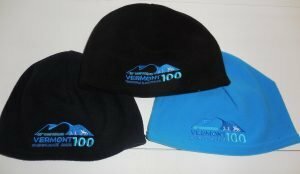 Don’t forget to shop VT100 merchandise. Lots of new shirts and hats to bring home to family or to give to crew as a giant thank you. 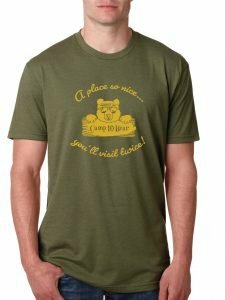 Check out the new Camp 10 Bear and Margaritaville shirts! Net Proceeds benefit Vermont Adaptive. As you can see, there is plenty to do before the sun goes down Friday. We hope you enjoy the activities we have planned for you and that you have the best race come Saturday morning. 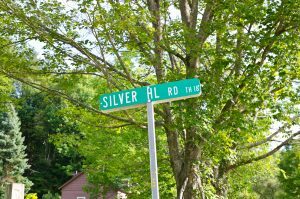 See you at Silver Hill!